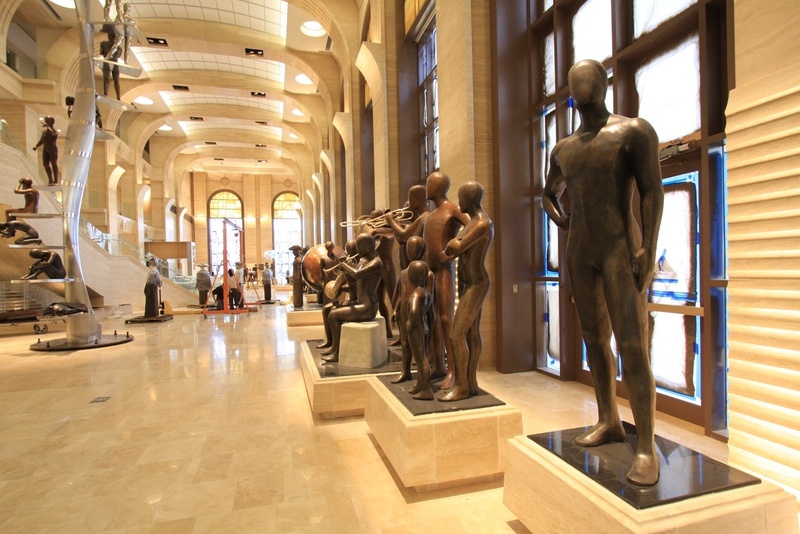 International sculptor Daniel M. Krause, interviewed in the “Hunt, Gather” issue of Broad Street, is known for many things–studying, deconstructing, and riffing on the famous Chinese warrior sculptures; major corporate commissions and gallery exhibitions; carrying the Olympic torch en route to Beijing; and a series of impressive sculptures for the Scientology flagship center in Clearwater, Florida. His work was featured in a TV commercial for Scientology that aired during the 2014 Super Bowl. The camera cruises Krause’s sculptures beginning around 0:30. The ad led our intrepid editor Jamal Stone on a quest around the internet, seeking the truth about spirituality and advertising. Jamal landed on this interesting piece on Slate.com, in which Seth Stevenson points out that like all ads, TV spots for religious groups—no matter if they’re a collection of Catholic churches, Unitarians, or Scientologists—suggest (or invent) a problem and then offer a solution. Do you have an identifiable problem? Is there a solution for what ails you? Chances are some part of you said or squeaked hopefully–yes. And that’s why advertising exists. So … can a commercial change your life and your spirituality? Do any ads work? Who knows? We buried a bit of the lede here. Broad Street, a publication obsessed with truth-telling, is proud to claim among its founding advisors Mark Fenske, the contrarian advertising wiseman/Yoda and onetime voice of Cheez-It snack crackers (that’s his photo telling you to talk to the hand). Truth in advertising: Is it possible? Is it even recommended? And what about the multitude of truths and controversies that rear up when a religion begins to advertise? Fenske argues that storytelling and truthfulness are as important to great ads as they are to great literature. Read the post about this topic on his website here. Maybe ads are the great popular art form of our time. Certainly the nationwide ritual of gathering for the Super Bowl to cheer, critique, and appreciate the advertisements is a hallmark of our current culture. Is that a good thing? A bad thing? Who am I to judge? I have my favorite commercials, just like everyone else. 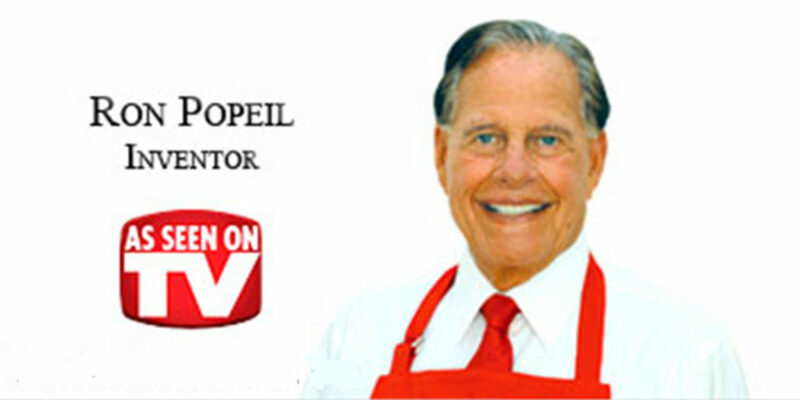 Here’s one—salesman nonpareil Ron Popeil’s ad-libbed ten-minute ode to food dehydration. It’s like watching a brilliant jazz soloist in full flow. You may have doubts about his honesty, but no one can doubt his mastery of the pitch as a form. As Malcolm Gladwell wrote in his New Yorker profile of Popeil in 2000, “Ron Popeil was the most brilliant and spirited of them all.” What would the 1970s have been without those crazy ads for Ronco products? Whatever your feelings about advertising, sculpture, Scientology, and snack food, we encourage you to become a faithful follower of Fenske’s blog, markfenske.com, which brims over with advice for his advertising students.